Deluxe Chair with Shadow VeraFlex® Back and VeraFlex® Shadow Fabric Seat. 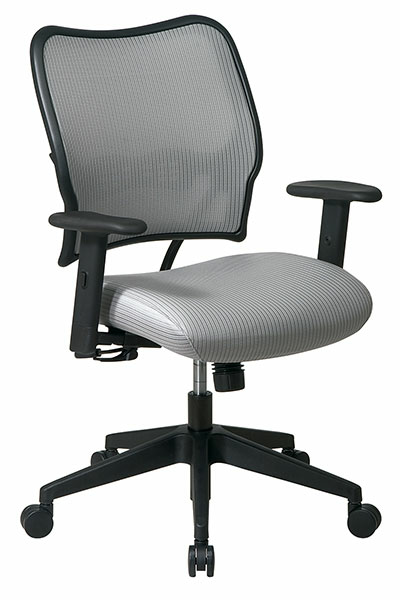 Breathable VeraFlex® Back and VeraFlex® Fabric Seat with Built-in Lumbar Support. One Touch Pneumatic Seat Height Adjustment.2-to-1 Synchro Tilt Control with Adjustable Tilt Tension. Height and Width Adjustable arms and PU Pads. Heavy Duty Angled Nylon Base with Oversized Dual Wheel Carpet Casters.